Nerd Family - A Pro Nerd Family of Pro Family Nerds. 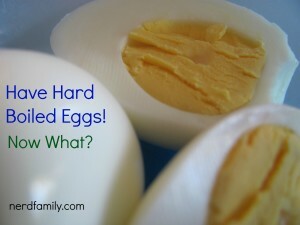 Have Hard Boiled Eggs? Now What? The 4th and Final week of the #LivingNowFoods Challenge! Blogger, nerd, homeschooler and woman. Need I say more?